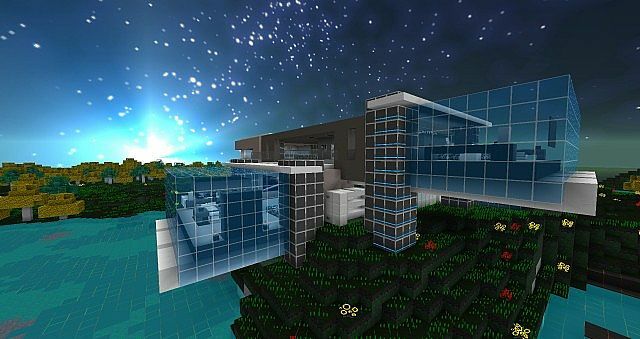 Cyber Optics HD Resource Pack is for the sci-fi enthusiast within you. 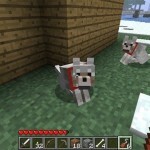 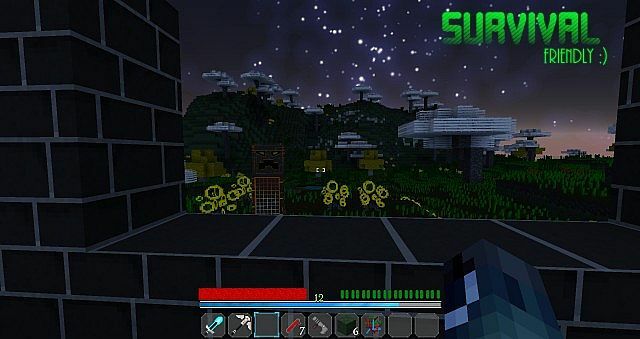 The pack utilizes a variety of science and futuristic visuals and textures to enhance Minecraft’s look to the next level and provide players with a fresh experience that’s quite unlike anything that most run-of-the-mill packs of today have to offer. 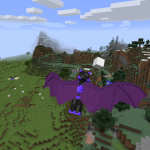 It was released around two years ago, and it’s been a while since it was last updated but in spite of this, it still looks like a top tier pack that’s in-line with most modern day standards other than of course compatibility with the latest versions of Minecraft. 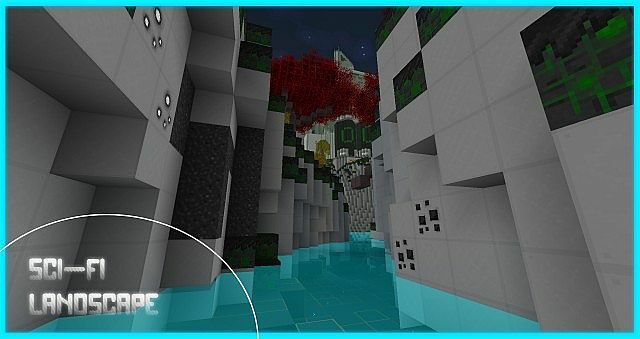 One of the most noteworthy things about the Cyber Optics resource pack is that it tries to enhance every single visual aspect of Minecraft that it can and due to this the game will look completely different when you apply the pack. 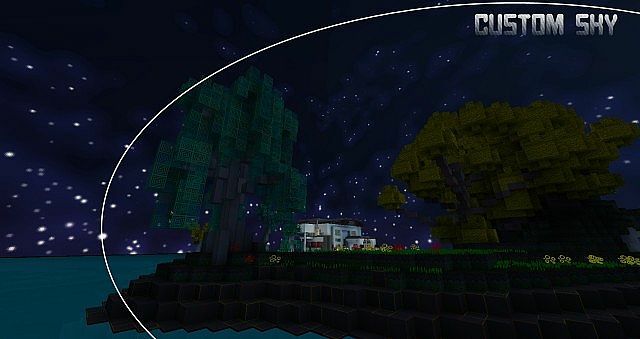 Cyber Optics also makes significant changes to the sky to make it synergize better with all the sci-fi textures that it has to offer. 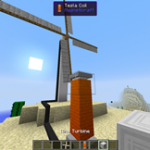 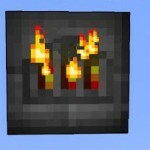 Alongside this, the mod even has its own unique font and also features CTM (Connected Textures) that make everything feel more natural. 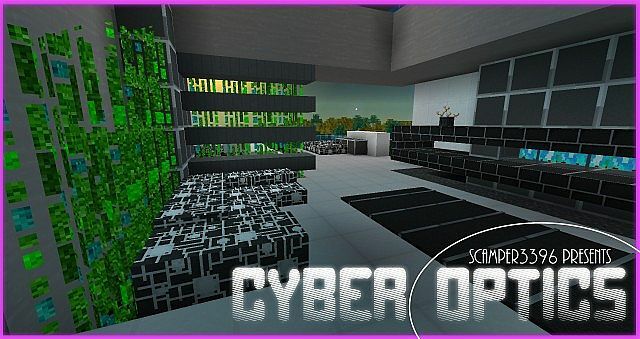 The Cyber Optics also focuses pretty heavily on implementing some really neat custom animations for a variety of different blocks and items. 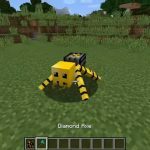 These animations, much like most of this pack’s textures, have a really unique sci-fi feel to them, and this makes them blend in perfectly with the art-style of the pack. 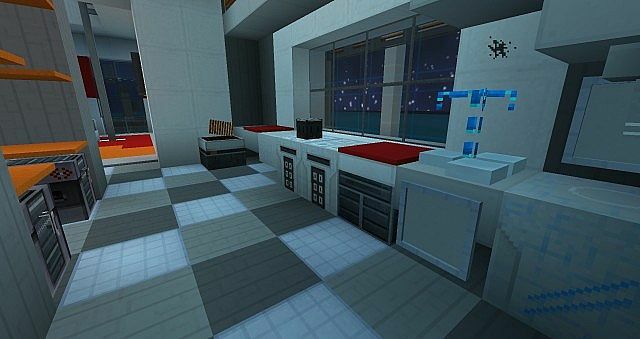 It’s been built at a resolution of 32×32 which isn’t necessarily that high, but it still makes for some pretty decent textures that are a delight to look at. 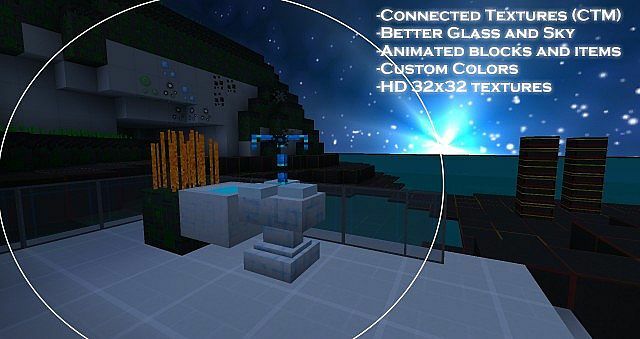 How to install Cyber Optics HD Resource Pack?